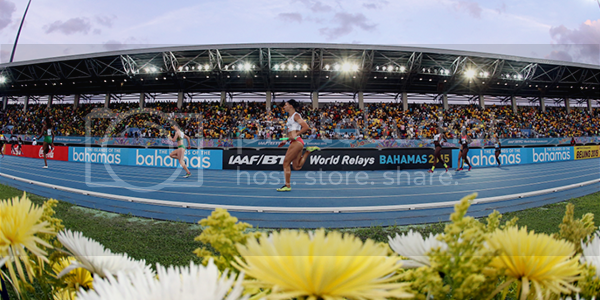 Our live coverage of the IAAF World Relays will feature 16-18 cameras and will incorporate digital and social media coverage. We will also be providing an integrated live feed for international television and radio rights holders of the opening and closing ceremonies, all races and medal ceremonies. Athletes from 40 countries will compete across the two days to win the coveted Golden Baton and guaranteed qualification for the 4x100m and 4x400m relays at this August’s IAAF World Championships London 2017. The international broadcast compound will be built at the Thomas A. Robinson National Stadium to supply live coverage, highlights and on-site facilities to the IAAF international Rights Holders. Our London-based team will provide digital highlights for mainstream and online media to ensure engagement of multi generations of fans around the world. The HB team will include Live Director Grant Phillips, Producer Mark Fulton and Technical Director Bevan Gibson. Outside broadcast facilities will be provided by NEP Visions. “This is an exciting opportunity for ITN Productions to work closely with one of the leading federations in world sport. We look forward to bringing our technical creativity, storytelling and outstanding client care to the relationship. We look forward to producing outstanding live images of a wonderfully vibrant and exciting event." Alastair Waddington, Director of Sport.